Ichabod, Abbie, Captain Irving and Jenny Mills join forces and face the Headless Horseman. 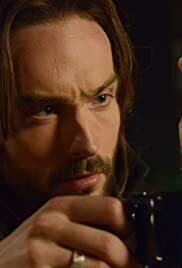 While staring down this nemesis, Ichabod is shocked by game-changing information about the Horseman's true motive. Captain Frank Irving: A dead guy, a mental patient, and a time traveler from the Revolution. Lt. Abbie Mills: That's our team.